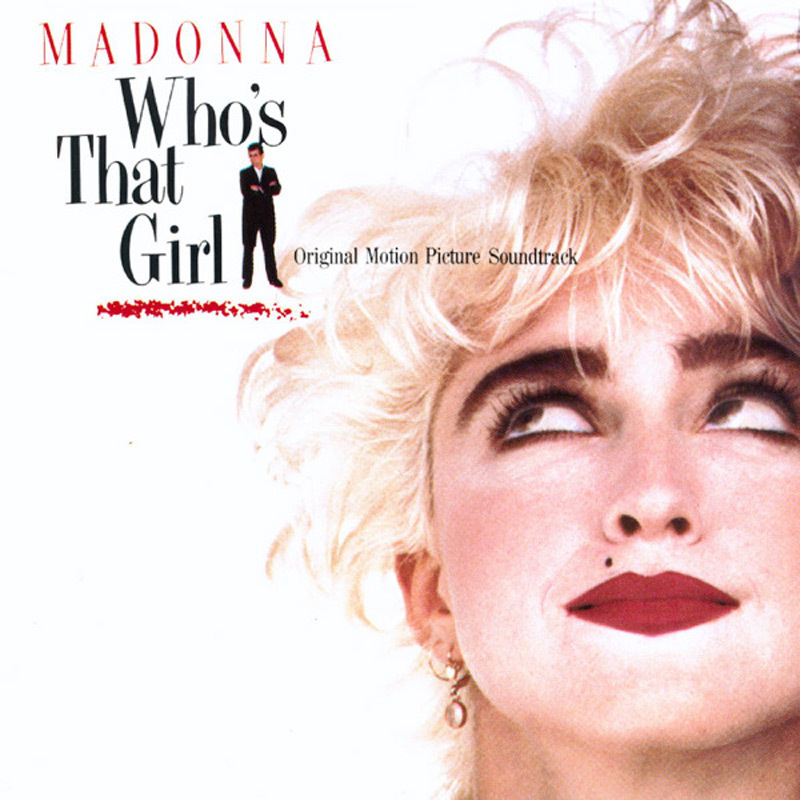 To promote the movie and its soundtrack, Madonna released the title track on June 23, 1987 (Europe followed on July 14). The funky song wasn't just typical for Nikki Finn, but for Madonna as well. 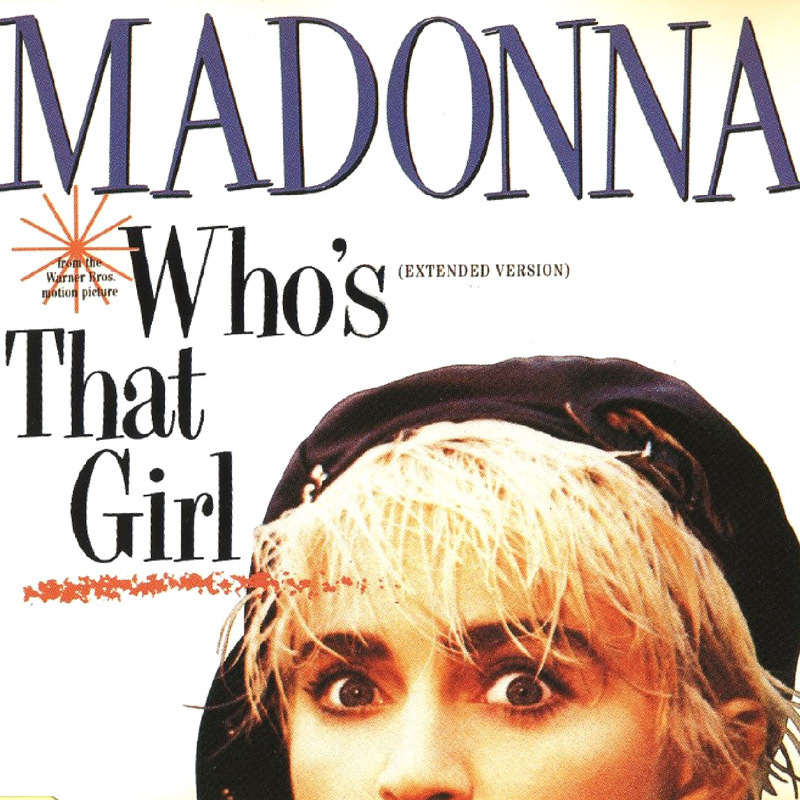 After three successful albums and already some different images and styles, some people wondered 'who's that girl anyway'? The single was another international hit and topped the charts in the US (already her sixth #1 on the Billboard 100), UK, Belgium, Canada, Ireland, Italy, Japan and the Netherlands. However, it's Madonna's only #1 that was left off The Immaculate Collection. 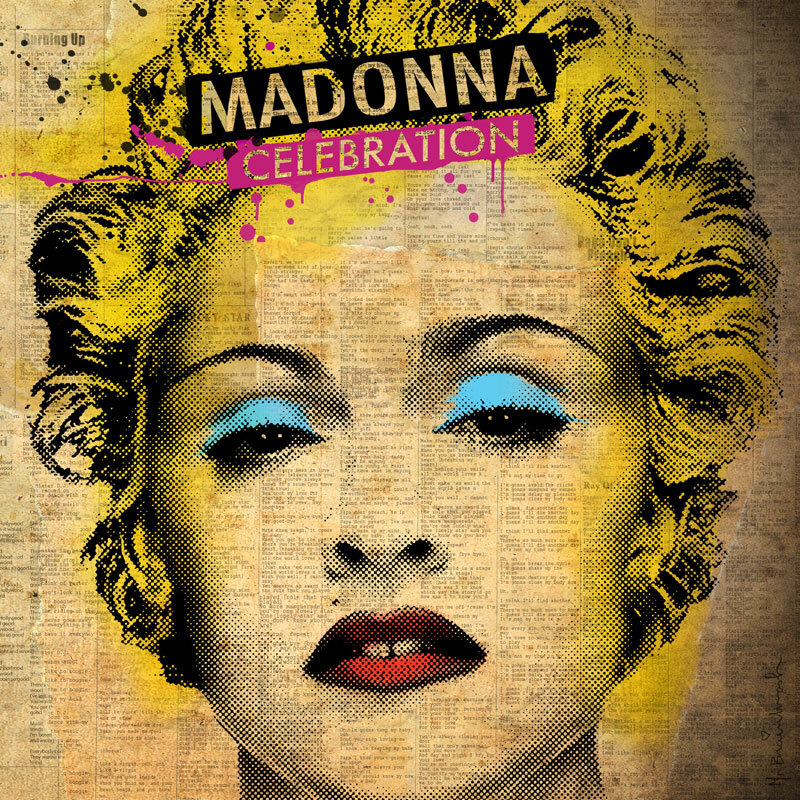 This was finally fixed on Madonna's 2009 compilation album Celebration. The song was nominated for Best Song From A Motion Picture at the 1988 Grammy Awards, and for Best Original Song at the 1988 Golden Globes. Peter Rosenthal directed the video for Who's That Girl. It's a combination of images from the movie and images of a boyish Madonna in a suit, dancing around with some kids, a theme she'd already tried for Open Your Heart. Naturally, the theme song couldn't fail on the Who's That Girl tour. Quien es esa nina was a good fit after that other song with Spanish vibes, La Isla Bonita. Dressed in her red flamenco dress Madonna dances around on stage, lets the audience sing along and then ends it on a dramatic tone, softened by a blown kiss at the end. After it's resurgence on Celebration, it was only a matter of time Who's That Girl would be sung live again. The Rebel Heart Tour would feature a Latino-inspired segment, being one Madonna's favourite recurring themes, Who's That Girl is a fitting choice there after the choreography-heavy La Isla Bonita & Dress You Up. Sitting down at the end of the catwalk in the special Givenchy outfit while Monte standing next to her, Madonna sings the 1987 track with teenage-like innocence alongside just the two guitars. The song quickly becomes one of the big singalong moments of the show but Madonna's beautiful voice still dominates the venue. A number with no choreography or backdrop, it would soon become the experimental part of the show with Madonna either replacing the track, most notably with Secret & Take A Bow, either adding another bonus performance after it. During the progression of the tour, many song combinations would arise which is a blessing for the fans, but unfortunate for Who's That Girl, which was only performed on roughly half of the tour and only scarcely during the 2016 leg, eventually being left out of the official recording of the tour.